Medi-Whale at the 3rd Asia Pacific Tele-Ophthalmology Symposium – Medi-Whale Inc.
Medi-Whale Co. sponsored the 3RD Asia Pacific Tele-Ophthalmology Symposium (APTOS) held in Singapore. In their exhibition booth the ‘Dr. 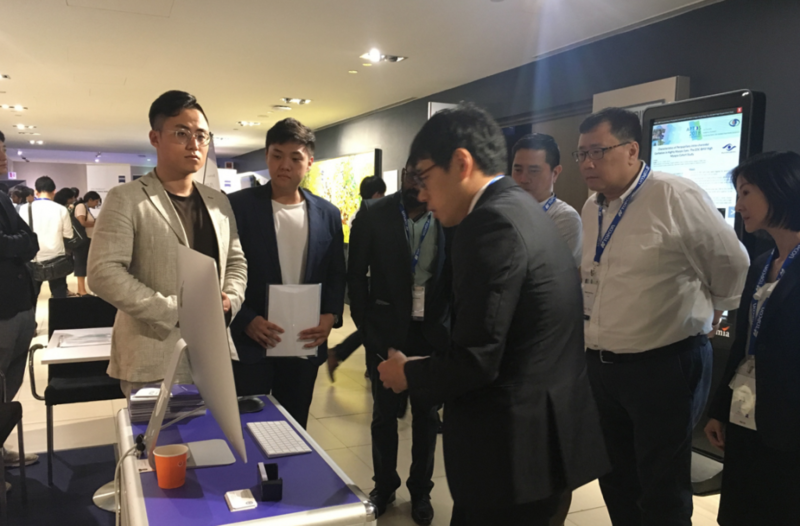 Noon’, Medi-Whale’s product, was displayed on July 7-8, 2018. APTOS was founded by tele-ophthalmologists in Asia-Pacific region in May 2016, aggregating professional researchers, technicians, and clinicians to share, collaborate, exchange individual perspectives, knowledge or ideas. Along with Medi-Whale, Zeiss, Topcon, Novartis, and Alcon also sponsored APTOS 2018 and introduced technology which can precisely diagnose patient’s eye diseases. At APTOS 2018, Medi-Whale opened a booth to introduce ‘Dr. Noon’, a deep learning based retinal fundus screening program, specially attracting companies from India, Philippine, and middle-east Asia. By using red and green colored dots, this program will identify if a patient’s eye will contain glaucoma, opacity, or retina diseases that can be frequently triggered from elder or diabetes. As Dr. 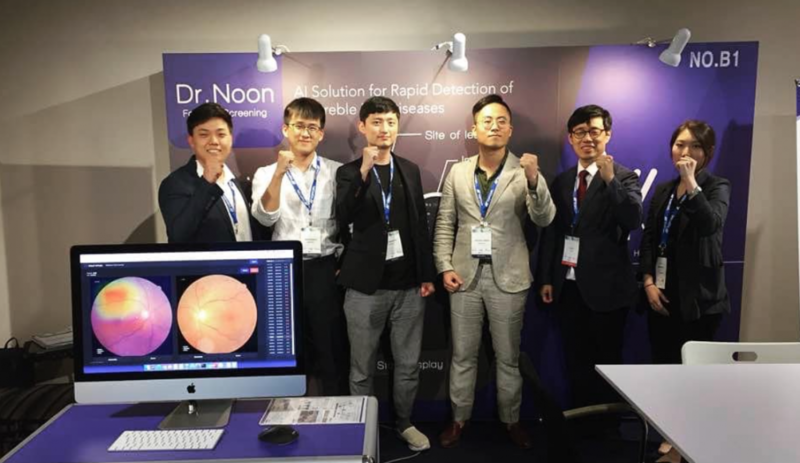 Noon can assist basic eye examination for elderly and diabetic patients, by analyzing retinal fundus images, physicians are now expected to be able to decide if patients need further diagnosis from ophthalmologists or not. Dr. Noon is expected to assist internal clinics to provide better service for patients, especially for those in area which professional ophthalmologists are not localized. Medi-Whale is now planning to develop a program that predicts cardiovascular diseases via analyzing retinal fundus images.